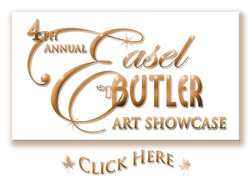 What is included with my easel butler? What kind of easels will Max, my easel butler work on? How can I figure out if Max will work on my easel? What are the exact measurements of the easel butler? What kind of art boxes work with Max? How much weight will Max hold? Can I return my easel butler if it doesn't fit my easel? A Virtual Art Academy® Recommended Product.